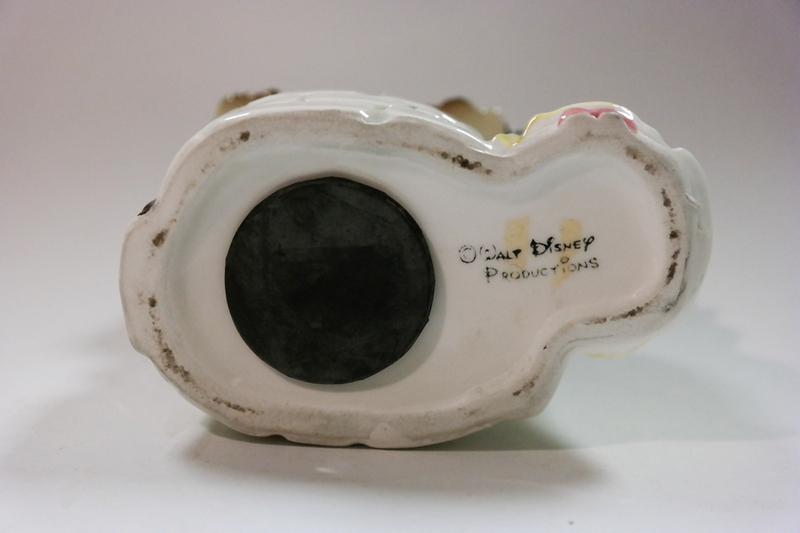 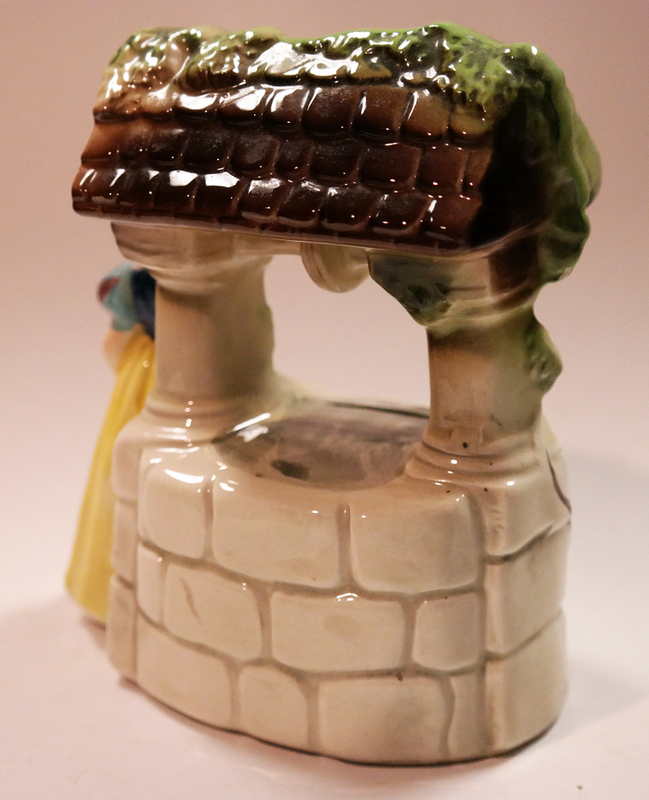 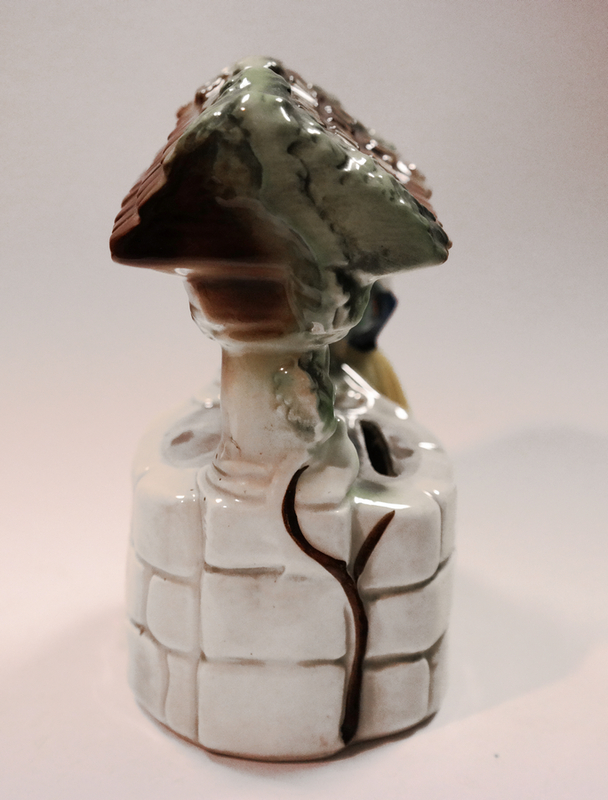 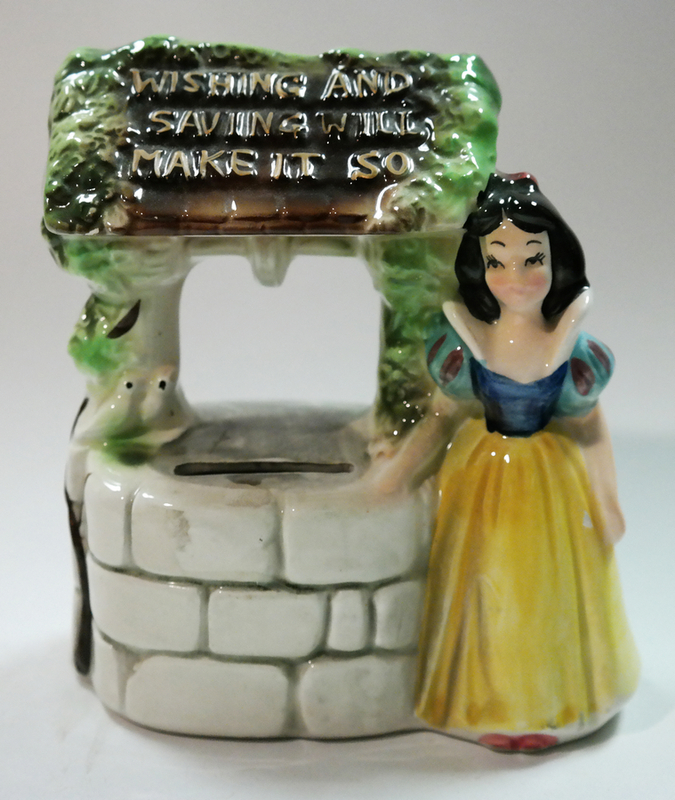 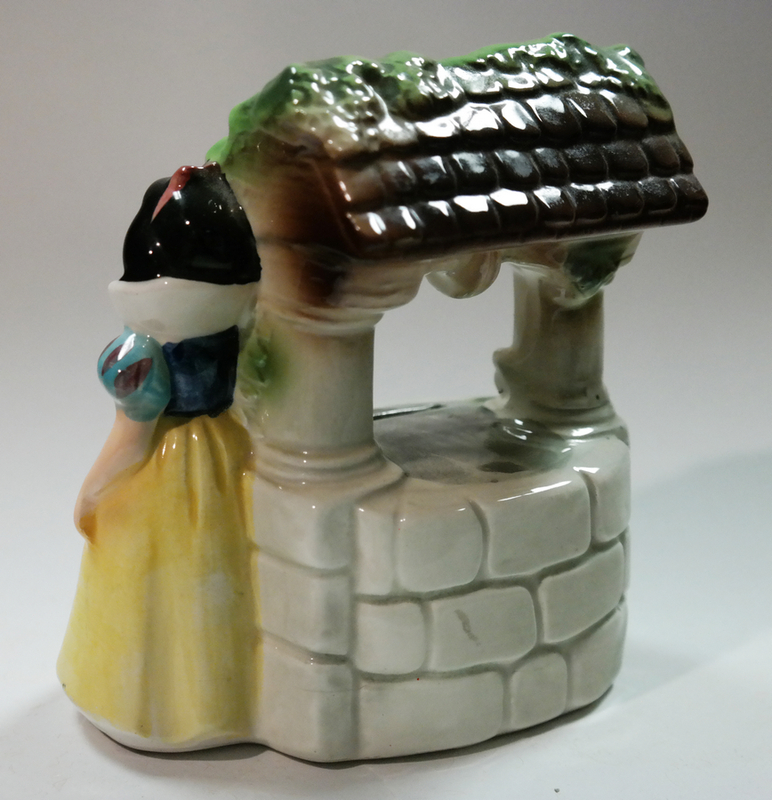 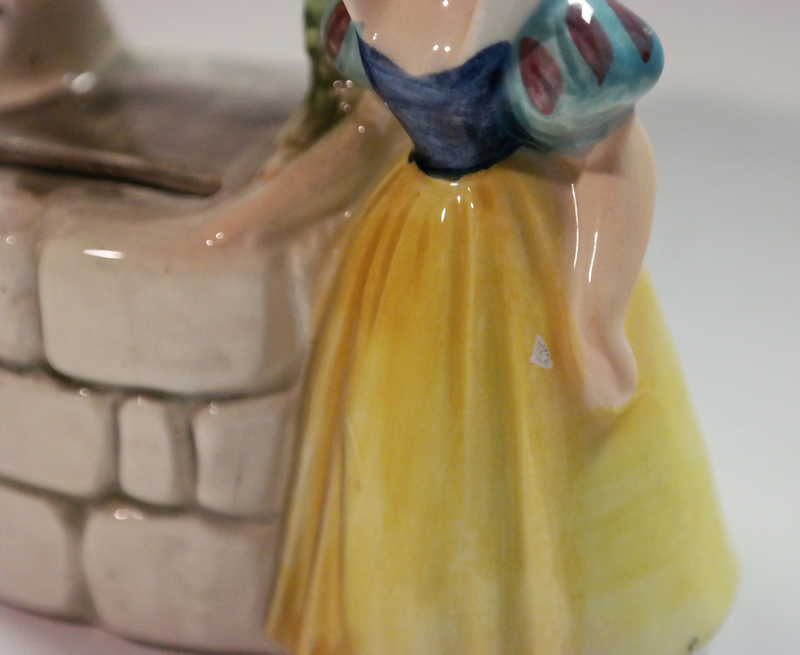 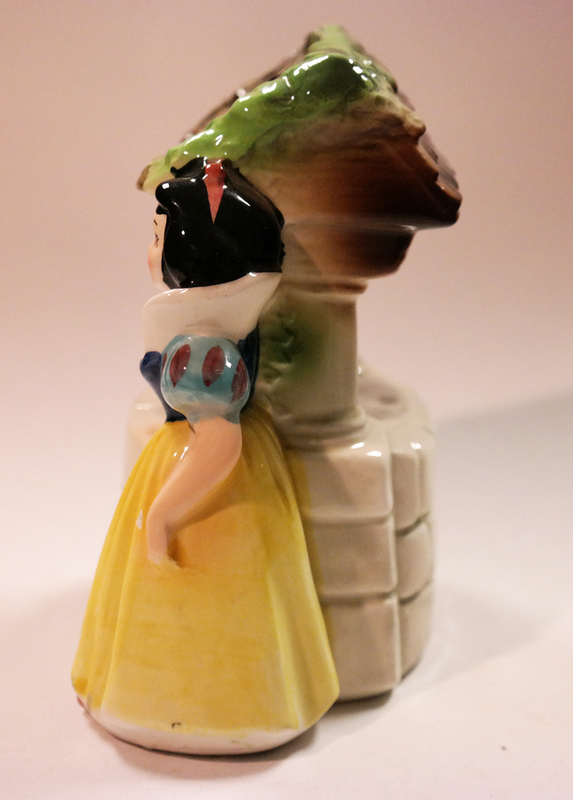 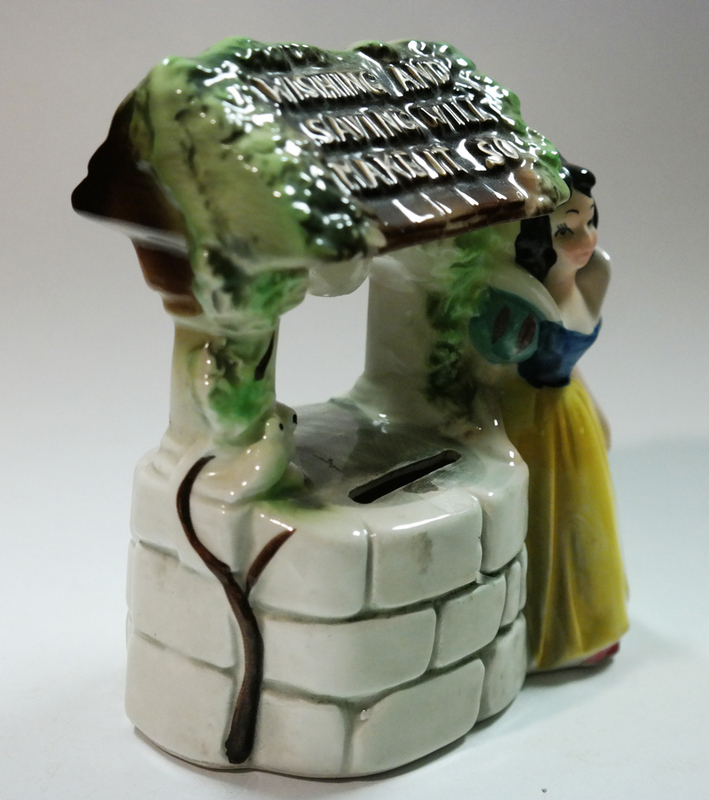 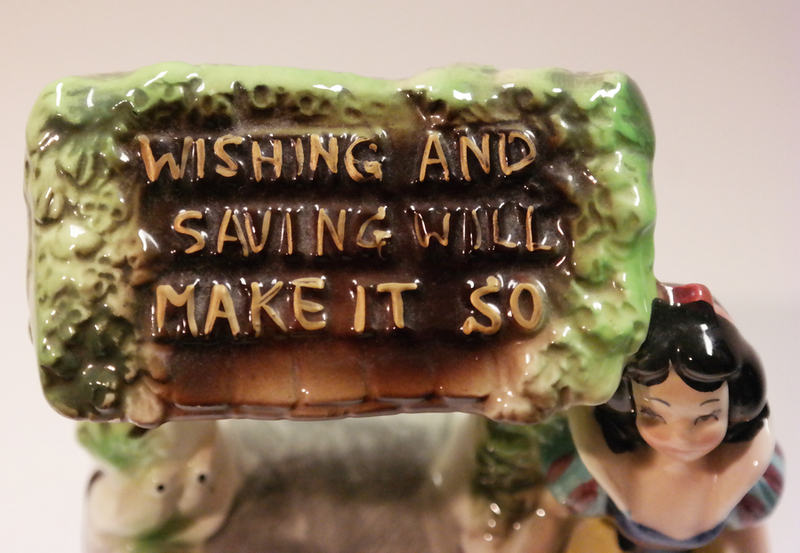 5" x 4.5" x 2.75"
This is a ceramic piggy bank for change featuring Snow White at her well. 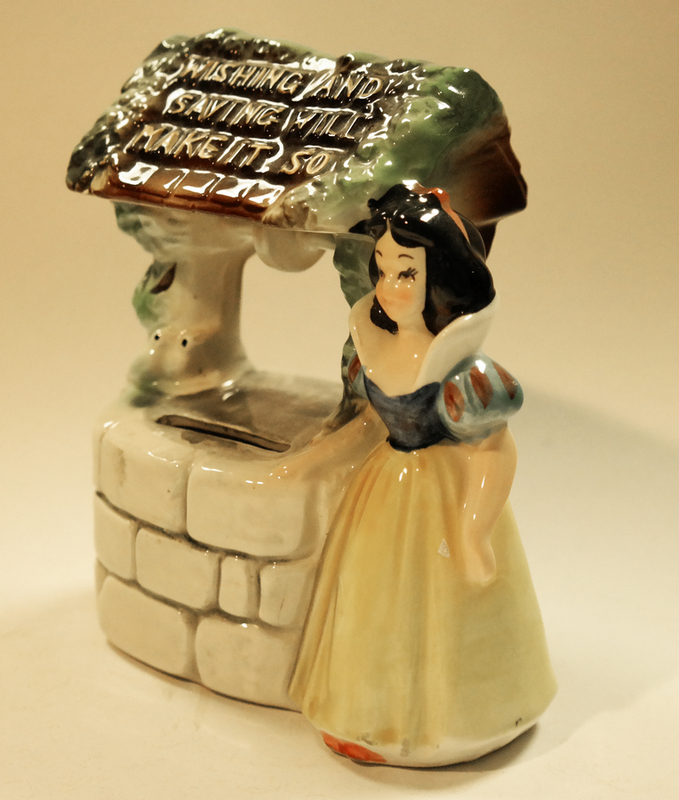 This adroable figurine was created in teh 1960s by Enesco and measures 5" x 4.5" x 2.75". 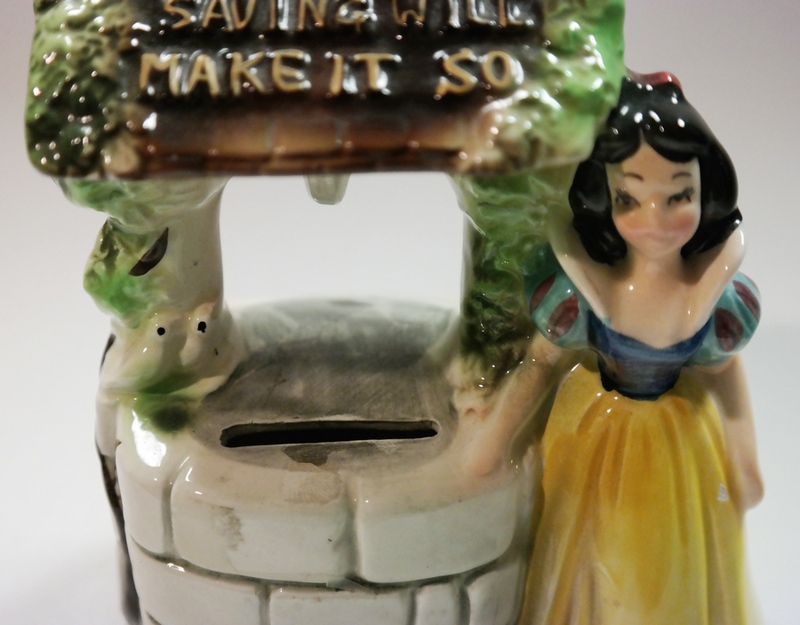 The bank is in very good condition with a small chip in her dress,.